Project Based Learning or PBL is a modern technique of teaching that involves learning from the real world by shifting a bit from the traditional method of reading and reciting. Studies conducted throughout the last decade have shown that students respond better to PBL and tend to retain the topics more. Project Based Learning gives students a purpose to study which creates a feeling of motivation among them while dealing with academics. PBL has other benefits as well which are precisely the reasons why the top 10 school in Sonipat and all around the globe are adopting it as a teaching method. Such schools are focusing more on setting students a variety of projects along with their textbook approach. 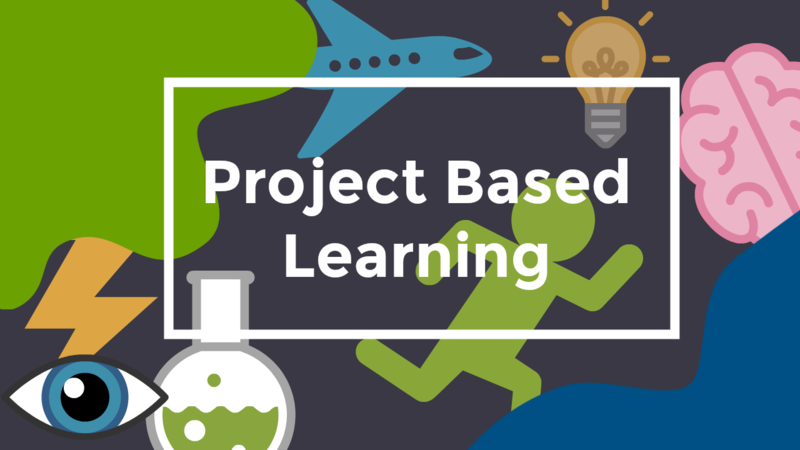 Here is a list of 4 benefits of Project Based Learning for you to understand how exactly the concept help all students alike. Projects set by schools are generally on topics whose information is easily not available in the textbook at hand. This way, students are encouraged to venture out and look for other resources to find relevant material. They either scan through the library or take to the internet to read and find out more which ultimately develops the all-important skill of research. This life-long lesson will help them to shape their careers as well. While going through any new life experience or encountering a certain situation, the first instinct will be to research on the topic and then make a decision. PBL explicitly teaches that you may not know everything and there is no harm in finding out more. Textbook learning is only restricted to the auditory form. PBL allows students to explore their preferred method of learning and enables them to suit their academic goals accordingly. With no restrictions on the resources to derive information, a student can opt for videos on a particular topic or decide to visit the actual place to gather data. This can let them understand whether they are visual learners or kinesthetic ones. One form of learner finds it very difficult to fit into another form and PBL opens the opportunity to explore. Students can apply their newly formed skill into other academic areas as well and this will shape their entire academic life. The freedom to learn the way you want is one of the main benefits of PBL. In almost all spheres of life, every student has to work in a team and develop the skill to gel with others. The top school in Sonipat or anywhere else keeps this in mind and encourages PBL in groups. A team of a certain number of students is set one topic to work on and it’s left up to them on how they divide the work. There’s also a team leader whose instructions the group unanimously decides to follow. The whole scenario gets a student ready for life after school. Whatever skills they pick up with PBL will ultimately help in their future. Be it creating a presentation or compiling a case study as a group, students learn to become a team player and become more comfortable functioning together. Project Based Learning brings in a new challenge every time there is a new topic. After a student has successfully accomplished a task at hand, he/she becomes a bit more confident in taking up the next one. The more PBL the student is exposed to, the more comfortable he/she will become and this will encourage him/her to push the limits to set higher ambitions. He/she will explore new areas to draw information, take on harder topics and set advanced benchmarks. Again, it will ultimately help the students’ future life. The growth mindset will set in and they will hardly restrict themselves in their comfort zones. A new chapter in a textbook may be a challenge, but it limits the scope to be adventurous. PBL encourages critical thinking and reasoning, and the sense of achievement you get from here creates a far more positive vibe than textbook learning. And you must opt for schools who have adopted this method of learning. Scan through the Sonipat schools list and you will find that institutes like Swarnprastha give equal importance to both PBL and textbook learning. One is not better than the other and it is the best of both that will help the student grow in the perfect way. PBL develops the modern skills and students must have an effective amount of it. It also gives teachers a better way to evaluate their students better and diversifies the whole teaching experience. Academics have moved beyond classrooms and schools are adapting to the situation with PBL.